are an interesting telescopic pair. 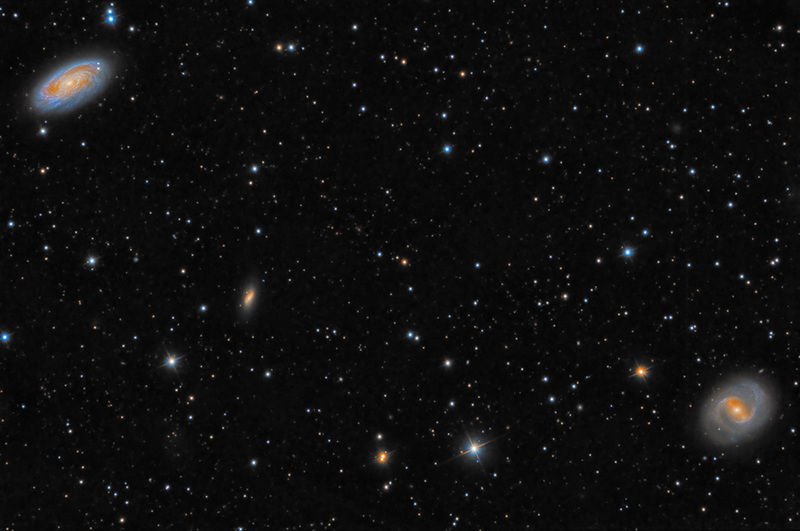 M88 at upper-left, and M91 at lower-right are two of the fifteen Messier objects which belong to the Virgo Cluster of galaxies. Classified an Sbc spiral due to its concentric spiral arm structure, M88 is also a Type 2 Seyfert galaxy. Messier 91, also designated NGC 4548, has a prominent barred nucleus. Both galaxies are approximately 60,000,000 light years from Earth. Golden NGC 4516 is left of center.